I don't imagine many readers picked up Grifter Vol. 2: Newfound Power. It is, after all, a not-very-well-received series about a 1990s character with a strong 1990s aesthetic, and this volume is scripted by controversial creator Rob Liefeld, to boot. I picked it up for the following reasons: I like that the Wildstorm characters are now part of the DC Universe, and aside from the Authority (which was never quite "Wildstorm" to me anyway), Grifter is to me the most recognizable and symbolic character that came out of Wildstorm; I bought volume one, and it's pretty much a lock that if a series has two volumes and I already bought volume one, I'll probably buy volume two; I think the "Daemonite invasion" storyline in the New 52 was pretty cool on paper, even if it fell apart in practice; and related, Grifter Vol. 2 presumably ties in to various other books I'm reading, most notably Superman but then also Voodoo (the second volume of which I bought for much the same reasons as the above). To say that the second volume of Grifter is a disappointment would be to suggest that I opened it with anything but the most realistic of expectations considering it's a collection of the last issues of a generally-panned, cancelled series, and with scripting again by Liefeld, who ultimately walked off the title and then left DC Comics entirely citing editorial interference. Grifter Vol. 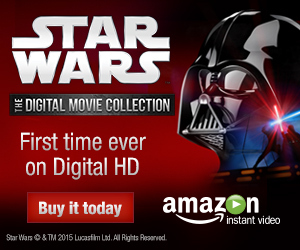 2 is not a disappointment; rather it is just as good as all the damning factors might suggest to you it is. 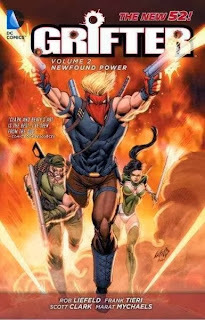 Liefeld and co-writer Frank Tieri change Grifter at will, often with no regard for what came before; characters and storylines appear out of nowhere; and the book's ties to the other series are tenuous at best, contradictory at worst. Basically nothing I was hoping for in this book came to pass, except that I don't have to wonder what happened in the second volume of Grifter any more, which is about what I expected. What Newfound Power offers to "Grifter fans," however many there may be, is plenty of mindless action and explosions, some beefy 1990s-style bad guys, and Grifter interacting with both Wildstorm and DC characters. Like Jersey Shore, perhaps, at some point Grifter is so bad it's good, which isn't a bad way to while away an hour if you're so inclined. Of the eight issues collected in New Found Power, the story holds up relatively well for at least the first four. Grifter joins up with a group of resistance fighters against the Daemonites, including Wildstorm's Deathblow, and over the three issues they fight bulked-up '90s-esque Daemonites, a similarly bulked up Daemonite assassin called Synge ("I am death!" he spouts), and then major Daemonite bad guy Helspont. When you get past that Liefeld and Tieri have apropos of nothing given Grifter new telekinetic powers, this is a passable action tale with some good reversals and funny-enough banter between Grifter and Deathblow (their buddy relationship, as little as we get, is probably the book's best part). The story isn't brain surgery, and artists Scott Clark and Marat Mychaels routinely offer quick two- and three-panel pages, but, frankly, this is far from the worst New 52 title I've read. Really my only complaint, trivial as it is, is that where Grifter is meant to tie in to Superman Vol. 2: Secrets and Lies, said tie is completely flubbed, with contradictory characters appearing in each book. Grifter begins to come off the rails, however, with the Zero Month issue. Liefeld and Tieri add to Grifter's already-established origin semi-plausibly by suggesting that Grifter has been constantly kidnapped by the Daemonites, not just the one time seen in Grifter #1, and often he's saved by a man called Warick. Obviously this doesn't completely jibe with what came before, but close enough. In the next issue, however, Grifter and Warick are now working together, with no explanation for the reader as to who Warick is or why Grifter trusts him. This comes, of sorts, in time, but it's a jarring moment that sets Grifter's future missions for Warick on shaky ground. The last pages of Grifter Vol. 2: Newfound Power find Cole Cash giving up his Grifter mask and setting aside his Daemonite hunt for a while. I appreciated that Tieri (now writing solo) gives the Grifter character a clean slate; doubtful this will happen, and I may be the only one who wants it, but I wouldn't mind seeing what Jeff Lemire, for instance, could do with super-powered con man Grifter his new Justice League title. Ultimately Grifter represents a chapter in the New 52 now closed -- the entirely unsuccessful grafting of Wildstorm on to the DC Universe -- which is a shame because I thought the idea had merit; maybe we'll see Grifter come back around one of these days. A review of the first print collection of Smallville Season 11 is coming up next week. On the horizon, Firestorm, Supergirl, and more! The disappointment caused by this book is palpable. "Grifter" could have been DC's "Prophet" or "Glory"--taking a lame 90s character and reinventing him as a brilliant new take despite what came before. Hell, that's what the first few issues of this book were! There were all these implications of a huge war tying in with "Demon Knights" of all things. And then DC backslid. This book and its Liefeld cohorts, plus the careless retooling of "Batwing" and the final realization that the JSA were gone for good, were what made me give up on the New 52.